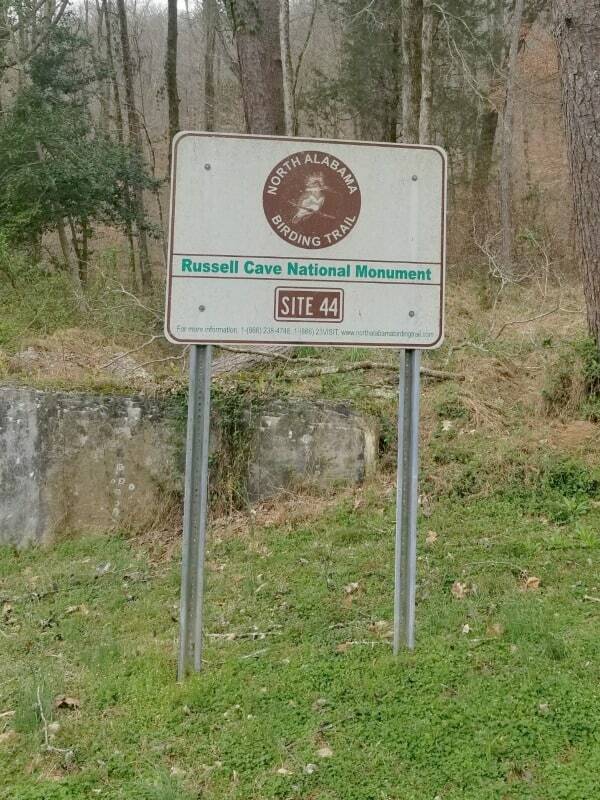 Russell Cave National Monument is located in northeastern Alabama near the Tennessee border. 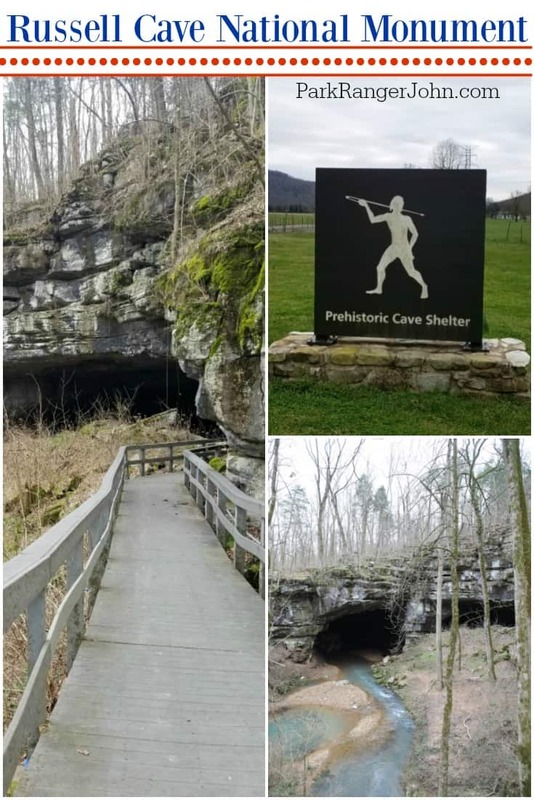 Russell Cave is an archaeological site with one of the most complete records of prehistoric peoples in the Southeast United States. 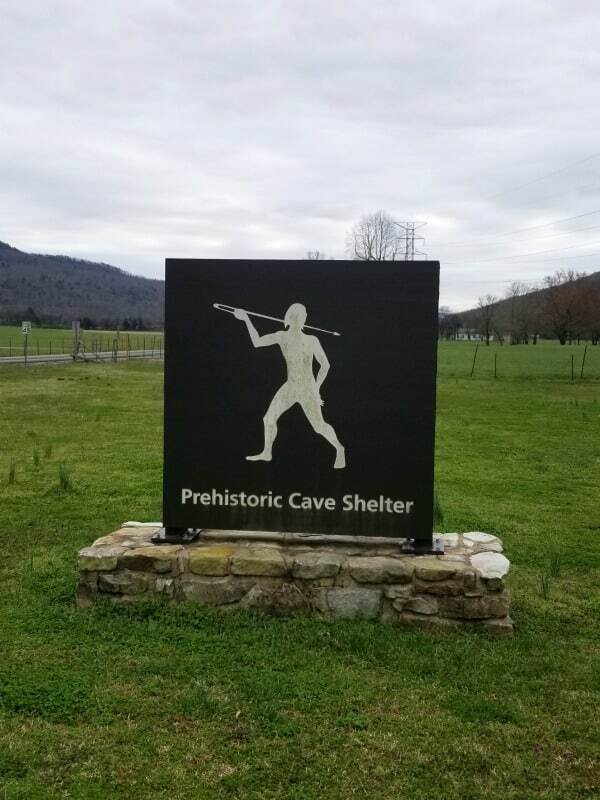 Russell Cave has been home to prehistoric culture in the southeast for thousands of years. 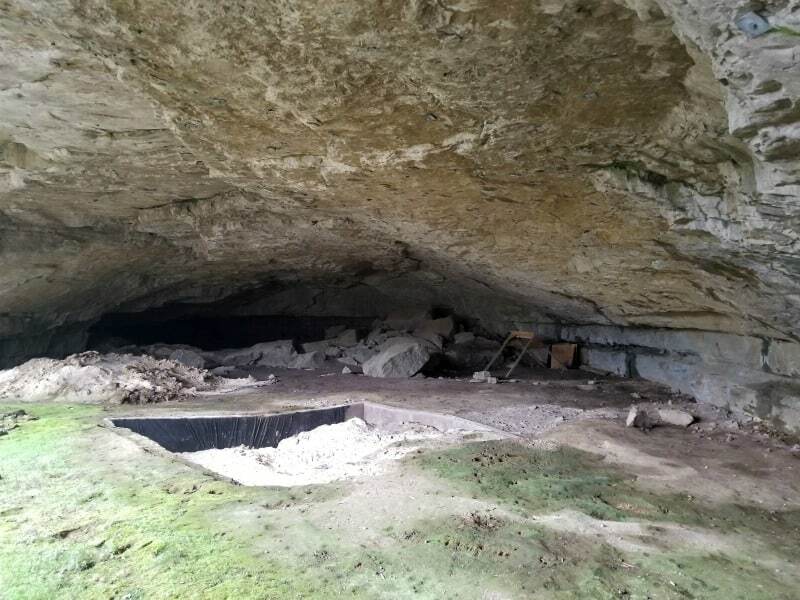 The cave was carved from geologic forces in the limestone. 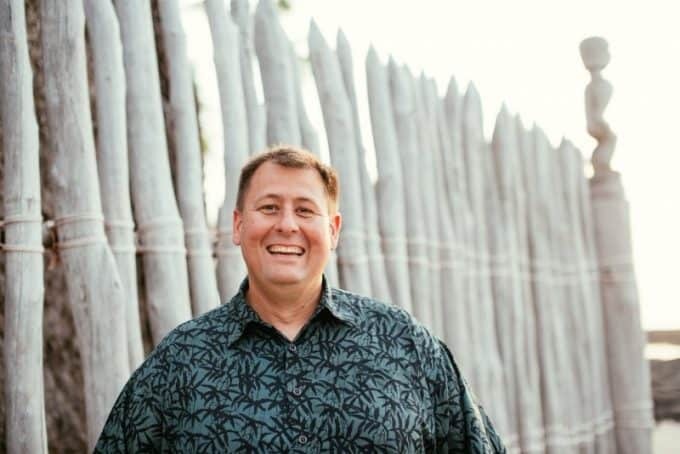 Russell Cave has produced one of the most comprehensive records of in-habitation of Native Americans. Artifacts have been found in the cave that dates back 10,000 years. The National Park Service oversees the park as a National Monument. The park site includes a visitor center, nature trail, boardwalk to the cave shelter, and picnic area. The park service has great ranger programs and a Junior Ranger program that is great for all guests. The park visitor center is the perfect place to start your visit. There is a 7-minute park film, park store, artifacts and museum and more. 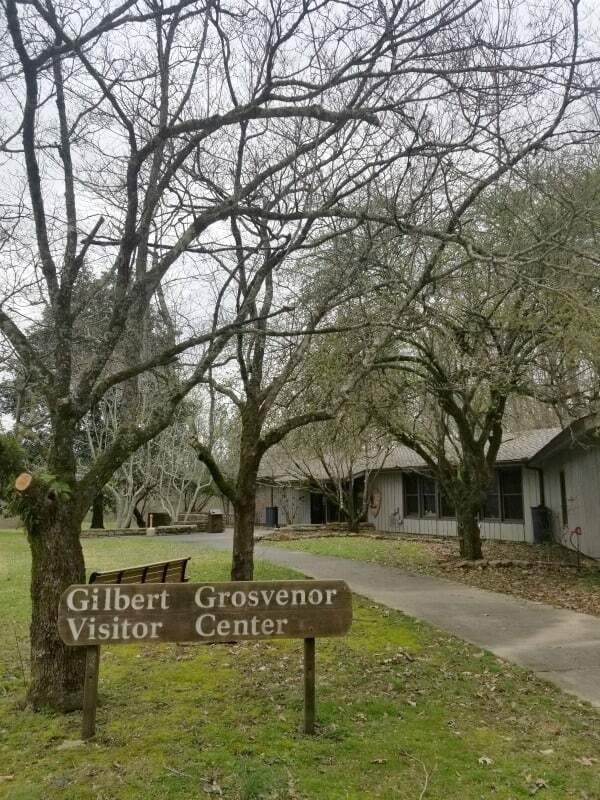 The Gilbert Grosvenor Visitor Center was named after a former president of the National Geographic Society. The National Geographic Society bought the cave and donated it to the American people. The visitor center has a museum displaying some of the thousands of artifacts that have been excavated from the cave. Displays include fishhooks, pottery, jewelry, and weapons. There is a small gift shop in the visitor center with books about the park and other National Park gifts. The 7-minute park film does a fantastic job of explaining the importance and history of Russell Cave. It is filled with information while still being enjoyable to watch. 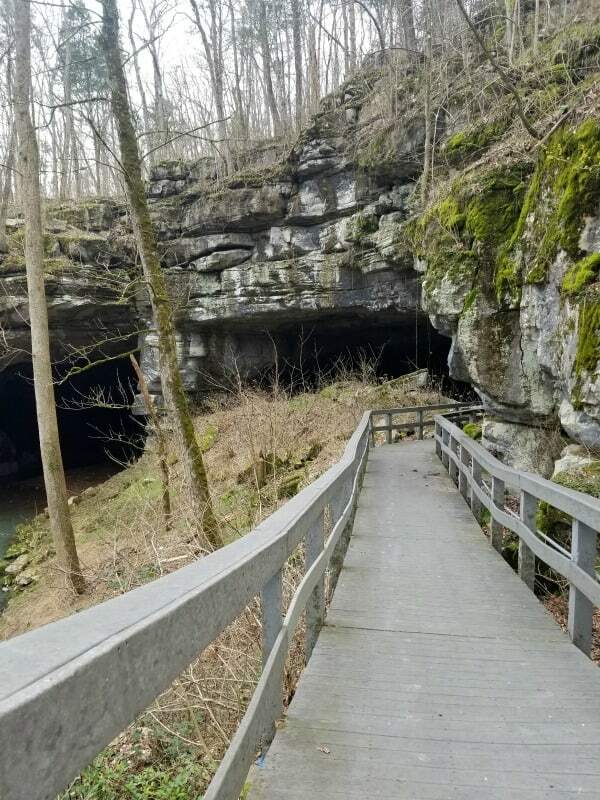 Walk the short boardwalk to the entrance of Russell Cave shelter. Ask at the visitor center about guided Ranger walks to learn more about the inhabitants of the cave. Though the cave passages stretch for miles you can only check out the entrance to protect artifacts. Be careful as you get closer to the cave. The walkway can be damp and muddy. The nature trail is a great way to explore more of this park. You can look for wildlife and birds migrating through the park. 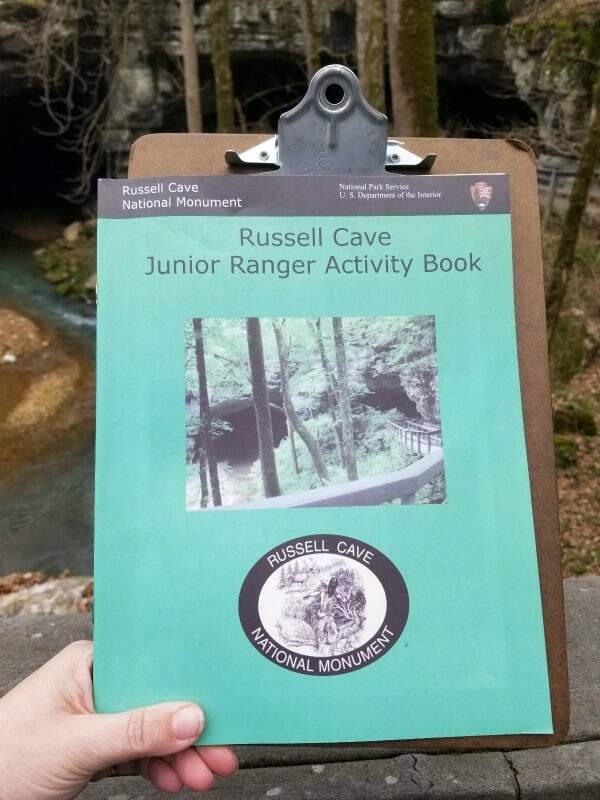 The Russell Cave Junior Ranger program is a bit intense but filled with great information. The number of pages that have to be completed depends on the age of the participant. There are a few pages that took some time to find the answers and figure them out. The ranger did check each page and answer line by line so make sure you fill them out completely with what you think is the answer. Many of the answers came from the movie and in the park visitor center. 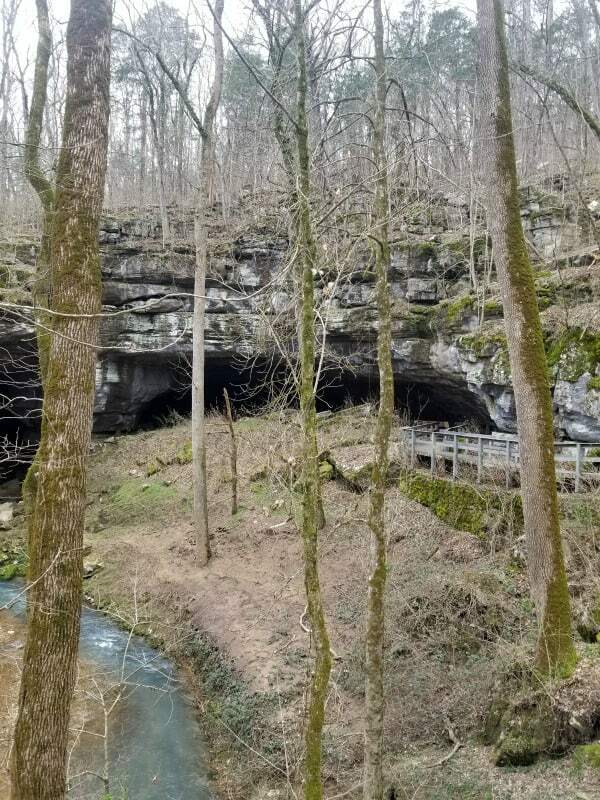 Russell Cave NM is located along the Northern Alabama Birding Trail. More than 100 species of birds live in the area. This area is along a migration route giving you the opportunity to see Tanagers, Warblers and other amazing bird species. There is no cell service while at the park. While we were there the walkway was a bit slippery and the cave had dripping water. Be prepared with sturdy comfortable shoes. The park is closed on New Year’s Day, Thanksgiving, and Christmas. Pets: Pets must remain on a leash during a visit to the park. They are allowed on the trails but are not allowed in the park visitor center. Check out all of the National Park Sites in Alabama and bordering Mississippi National Park Sites.